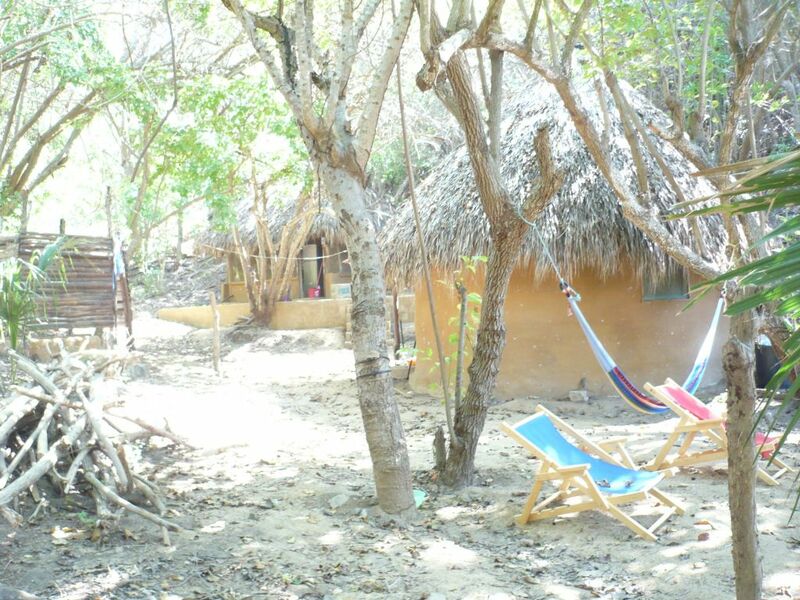 The Cabaña La Patchanka is located in the calm part of San Agustinillo, called las hamacas‘, so a little outside of town but almost directly on the beach. 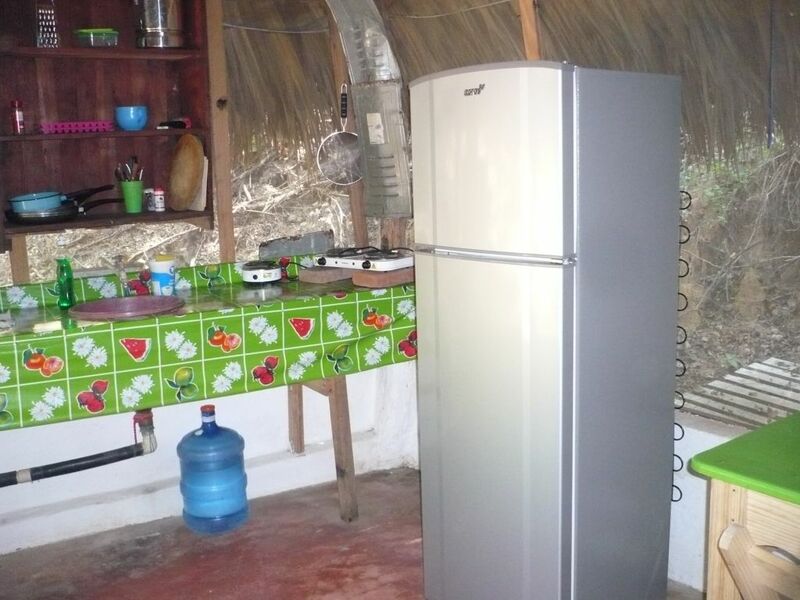 It is an area only for the guest where the different palapas with its different uses, palmroofed little buildings, are reparted over the place: a nice and cozy sleeping room in a round palapa, another one for the kitchen, one for the compost toilet and an open air shower. 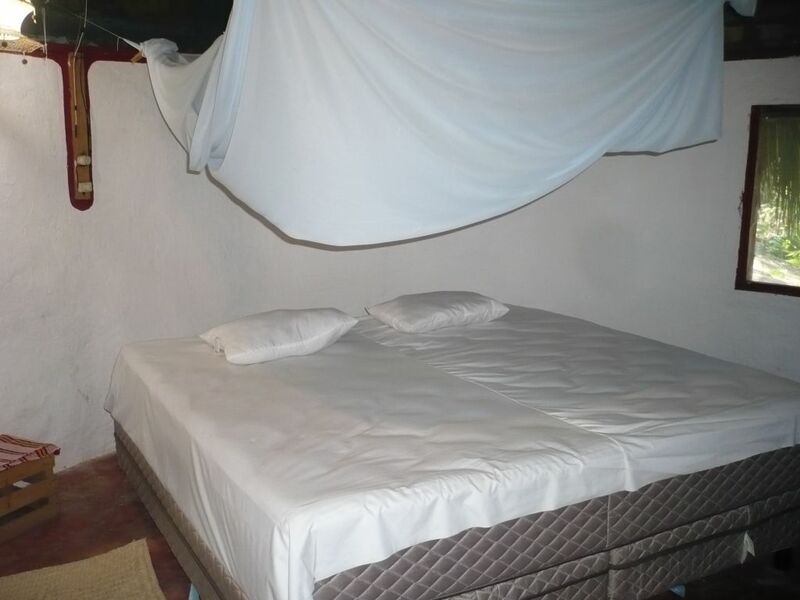 The comfortable sleeping room has a kingsize bed, fan and moskitonet, and the kitchen is well equipped and has moskitonet all around so you are able to spend the evenings there without being attacked by the moscitos . Though not possible to see because of the vegetation, the ocean is only a few steps away from here. So walking the beach is also the quickest way of getting to town in about 10 minutes. The perfect place for people who like to enjoy the calmness and peace in middle of nature.